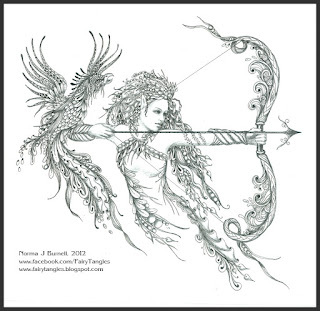 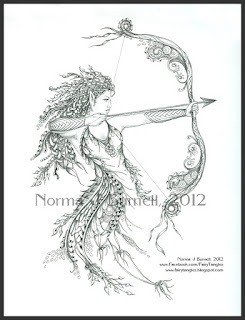 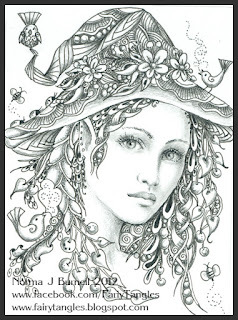 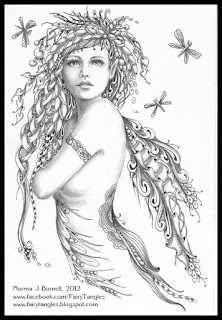 A new Fairy-Tangle ACEO, Micron pen and graphite on Bristol Board paper....Lana is 2.5 x 3.5 inches. 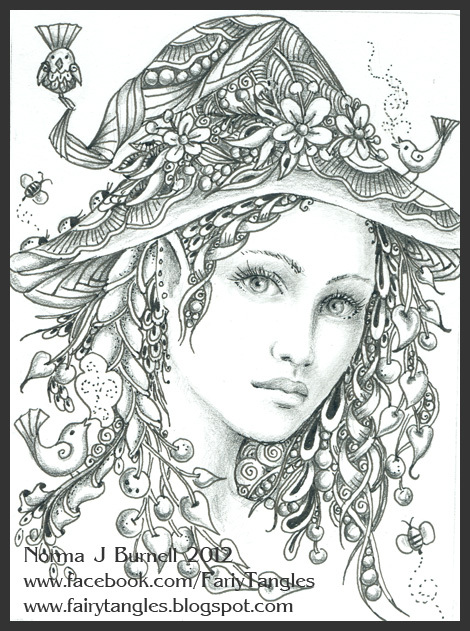 Here she is, my latest Archeress, and also the largest Fairy Tangle I've done to date, 9 x 12 sheet of paper. Micron pen and graphite on Stonehenge paper. 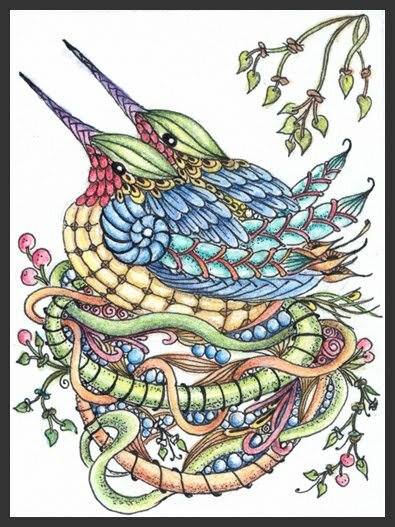 Another tangle of hummers....don't you just love when baby humming birds get too big for their nest...they squeeze themselves in so tight...anyway, that's what I had in mind when I did this one. 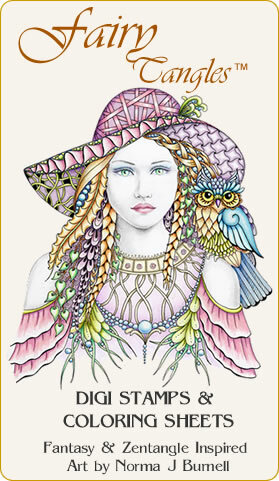 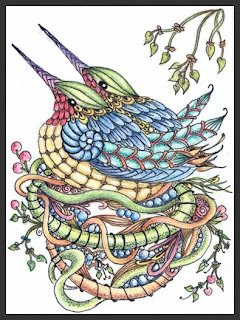 ACEO Card, 2.5 x 3.5 inches, Micron Pen and Inktense pencils on watercolor paper. Another tangled hummer....all alone sitting on her nest. 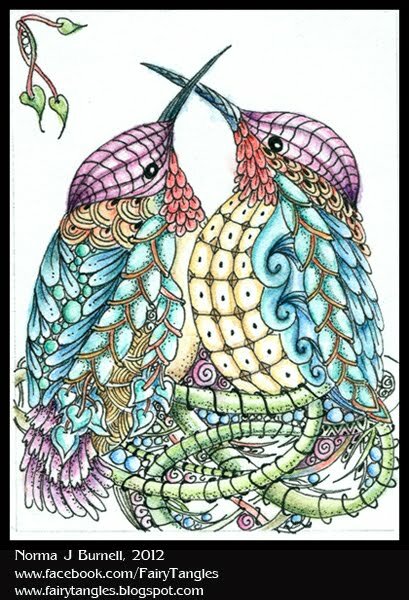 ACEO, 2.5 x 3.5, Micron Pen and Inktense on watercolor paper. 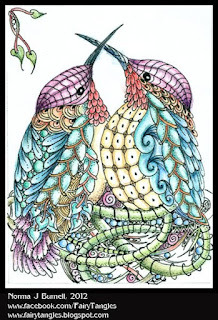 A new Hummer Tangle..."Hummer Love", 2.5 x 3.5 inches, micron pen and Inktense pencils on water color paper. 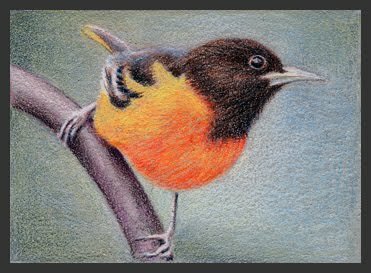 Still experimenting with the Inktense pencils...use a little more color in this one. 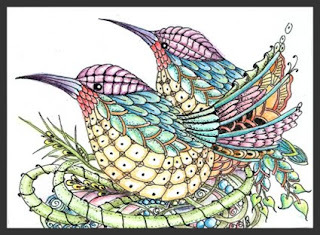 Drew this little tangle of hummers the other day and decided to wait for my new Inktense pencils, which came today, to color it. 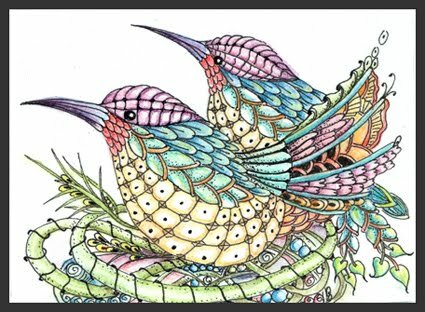 I'm very much liking the Inktense pencils...even tho I have no idea what I'm doing with them, I had total fun adding color to these little guys...can see a lot of potential with these pencils. 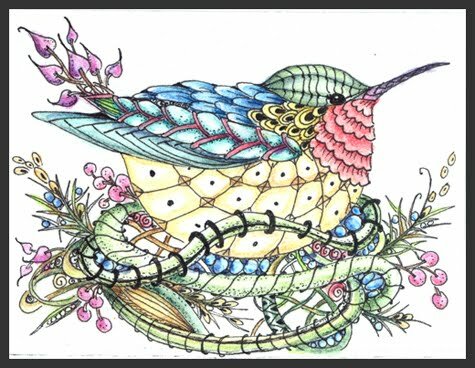 "Tangle of Hummers" is 2.5 x 3.5 inches, micron pen and Inktense pencils on some sort of watercolor paper (smooth). My latest ACEO Art card, 'Oriole', 2.5 x 3.5 inches, Prismacolor pencil on tinted art spectrum colourfix paper. 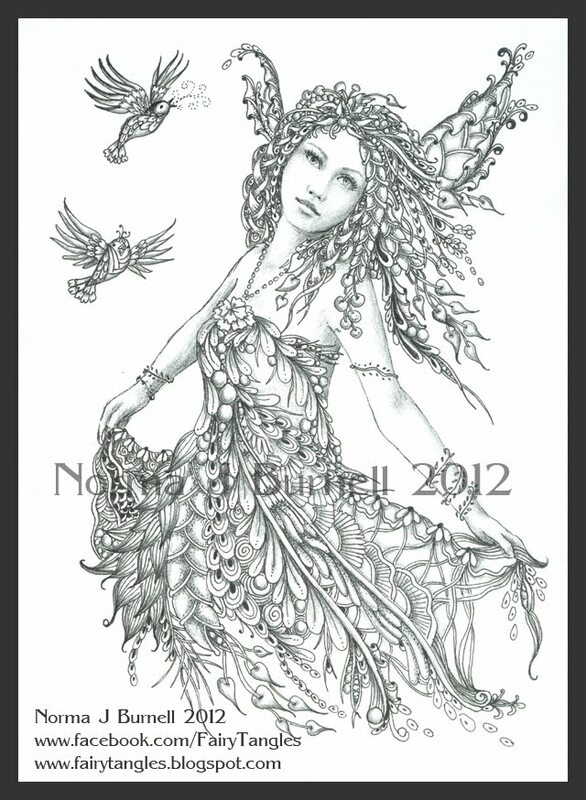 To celebrate the coming of Spring - "Dance of Spring". 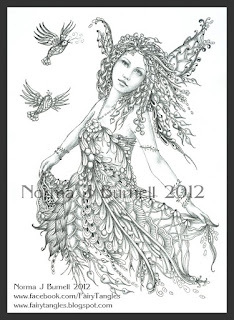 Dance of Spring is 5x7 inches, micron pen and graphite on Stonehenge paper. 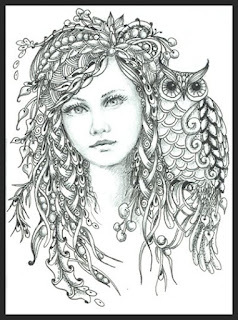 Had to use my new "chainlee" tangle in her hair. 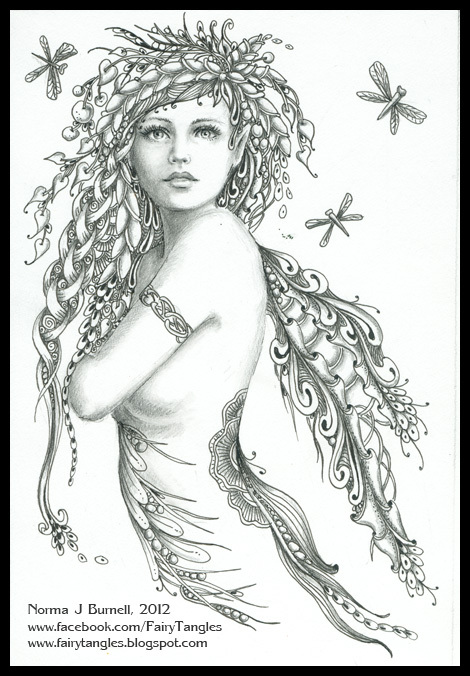 "Dragonfly Magic" is 4x6 inches, micron pen and graphite on Bristol board.